Lose the Clinical Look with NEW Trolley's at Pure Spa Direct! Is the image you have for your spa or spa room less clinical and more....homey? I bet you've had trouble finding furniture that embraces this look, right? Not anymore! Pure Spa Direct just added some new and absolutely beautiful trolleys that are not only available in standard white for those looking for a clinical look, but also a gorgeous dark brown, which blends perfectly with so many neutral colors! 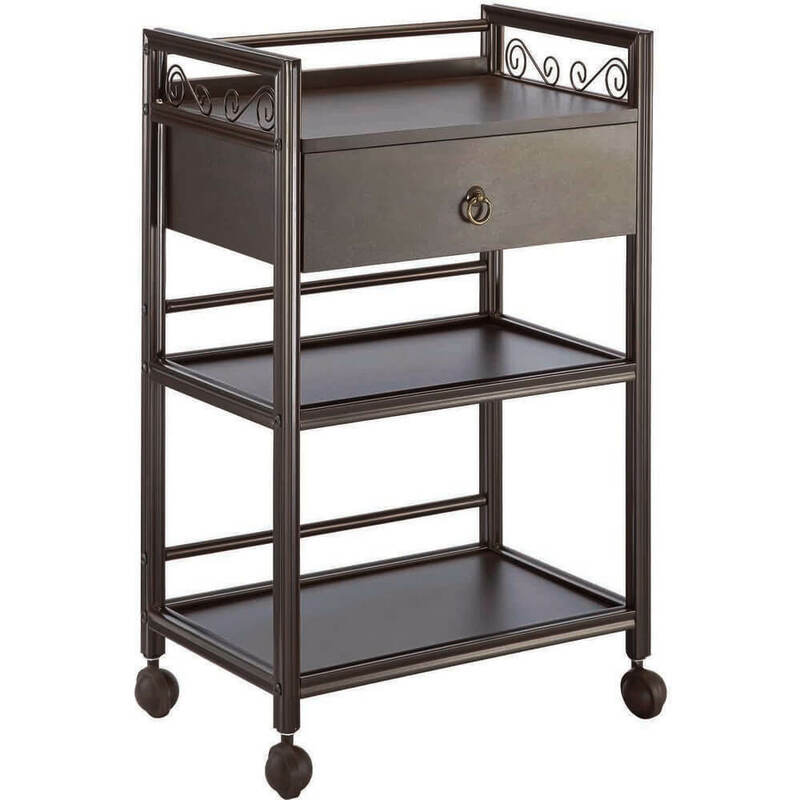 The Ashley Wooden Esthetician Trolley has a stylish, clean design. The Ashley has 3 shelves, 1 drawer and 4 easy glide wheels for ease of mobility. The Ashley Wooden Esthetician Trolley is ideal for products, facial machines, small hot towel cabi's and more! This fashionable a trolley cart will help keep you organized, mobile and functional to improve your services for your clients. The Versatila Esthetician Trolley has a modern. clean design. 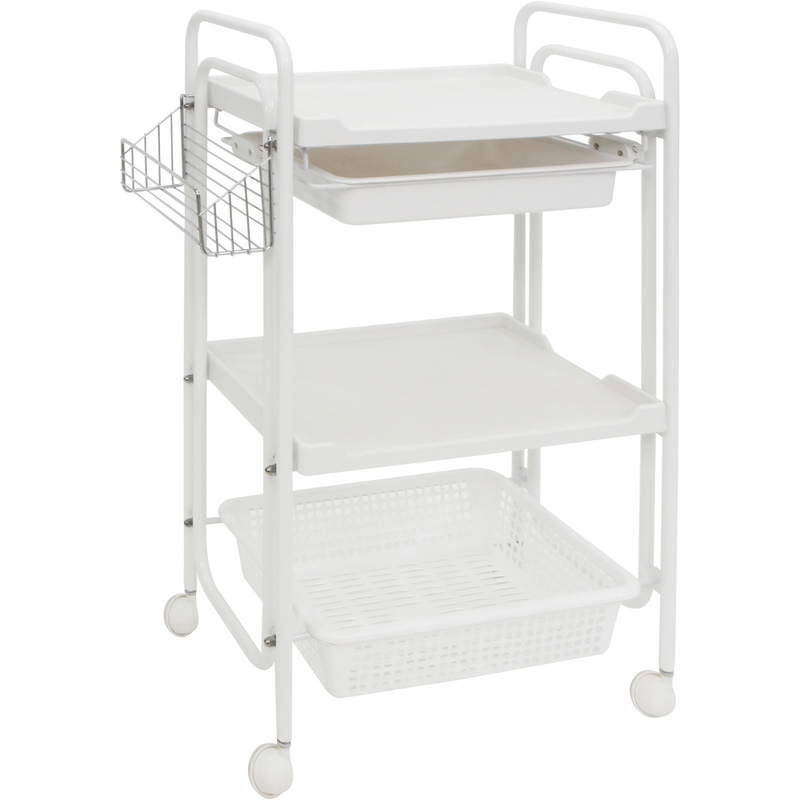 The Versatila has two shelves, 1 drawer, 1 large bin, 1 small side bin and 4 easy glide wheels for ease of mobility. The Versatila Esthetician Trolley is ideal for products, facial machines, small hot towel cabi's and more! This fashionable a trolley cart will help keep you organized, mobile and functional to improve your services for your clients.